For emigrating Filipinos who wants to get a driver’s license in a different country, you might need to get an LTO/DFA red ribbon authenticated driver’s license to prove your driving history, (although this will depend on the country or province that you’re going, in my case, British Columbia doesn’t need a red-ribbon authenticated certificate anymore, they will based it on the date of issue on your driver’s license. Go to LTO Main Branch East Ave, window 10, it’s right beside the chapel. We were there around 1150am, done by 1205pm. Bring your driver’s license and Original Receipt, plus xerox copy of both.. Fee is 100 pesos, no receipt given (it will be attached with your certificate when you get it from DFA). They will give you a claim stub, which you need, to claim in DFA Aseana Macapagal Blvd exactly a week after. At DFA Aseana, proceed to Gate 2, look for the drop box where you’ll drop the claim stub at the proper slot. Wait for someone to call your name, they’ll tell you to bring an ID and proceed to either window 5 or 7. You will then check if the printout contains your info, check if all are accurate. After that, proceed to cashier, which is very near the exit. Check if info is correct. You’re done (total time in DFA was roughly 30 minutes). This was very helpful, I just followed the steps. Thanks a lot. Certificate will be released after a week. Yey! How long the process in LTO certification? this helped me a lot, Jennyfer. much thanks! scheduled release on the 28th at DFA Aseana. Hi, does it have a validity period? When is the best time to get this document? We’re planning to leave in Feb 2016. Thanks so much! Ano po kailangan para makakuha ng red ribbon?nasa ibang bansa po ung nagpapakuha.. thanks..
authorization letter, your id and the person who’s getting it’s ID. Hi, thanks for the great advice! Would you happen to know if a proxy can do the whole process for another person? I`m currently in another country and want to get this. I`m planning to have someone do this process for me with an authorization letter and all that. I think you can request for another printout of your OR (although may bayad I’m sure hehe) at the LTO. hello po..how much is the fee for the red ribbon of your drivers international license?thank you..i hope you can help me..
naku, ang mahal! If you know someone in Manila who’s willing to do it for you, I would suggest na i-courier ninyo yung requirements plus a letter of authorization, mas matipid pa yun kaysa sa 4500/person 🙂 good luck! what if i lost my receipt? at dfa red ribbon? Your posts are very useful (I’ve already read the coupon post apps). We arrived in Vancouver last Dec 14, I didn’t have time to renew my Phil Driver’s license which expired on Dec 20, 2015. What I have here with me is the expired drivers’s license but I do have the Official Receipts (one dated 7/14/2010 and another 1/25/2013). Will ICBC in Burnaby accept this as proof that I have been driving for some time instead of having to get a certificate from LTO? For the latest update and share with others. No LTO certificate required especially in my case since I cannot get one anyway with my expired license. I went to take my knowledge exam last week and showed my driver’s license OR (one dated 2010 and one dated 2013). The front desk readily accepted me for L5 since she saw I have been driving for some time. Lesson learned. Keep your OR ready at hand, I think the minimum is 3 years driving experience. 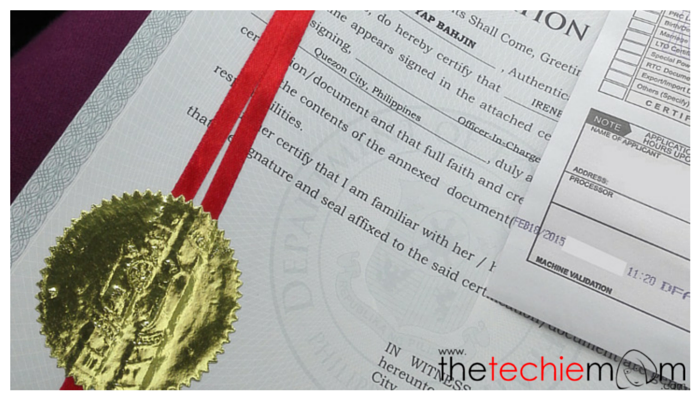 When claiming the Red Ribbon LTO Certificate from DFA, is it okay to submit an Authorization Letter with scanned signature? Im already here at Canada and just asking a relative to claim the certificate on my behalf? Thanks. I’m not really sure about that since they did ask for the original one and the copy to compare. HELLO PO thank you for this article. Should you really claim the document at Dfa aseana on the exact date stated. Or can you claim it three weeks after. 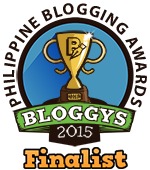 I have a logistical problem because I live in Davao. no idea if puwede pa rin ang expired license but the LTO red ribbon doesn’t have an expiry I think. Do they really require the driver license OR? i lost mine. I also checked LTO’s website and wala naman sa requirements nila ung OR. not really sure about this what they asked me for mine when I applied. I have heard that If you have a certificate of driving for 10 years it will make your insurance bill a little cheaper. Is this the same certificate that you need to show when paying for the insurance? Hello there ma’am, I’m wondering if it would be okay for my brother to pick up my red ribbon from. DFA. I will be leaving for Alberta after getting everything done at LTO. I find it unfortunate that this situation happened to me and as much as I squabble about the inefficiency of the system, it’s possible, right? I think that’s quite possible, you just need an authorization letter, plus an id of yours and the person picking up the certificate. last feb. po eh umuwi ako, nag renew ako ng license ko, meron na po ako red ribbon last november 2012 pa, may expiration po and red ribbon. thanks..
Hi Aaron, sorry for the late reply, I haven’t been checking my site lately. no idea with expiration e.
Mam magkanu babayaran ko po lahat pagkuha po ng history of licensed at pared ribbon po ? I think you can ask someone to get it from you but you would need an authorization letter, your id and the person who’s getting it’s ID. Hi Ms. Tan Just want to ask if it’s possible for me to get a red ribbon LTO certificate even if I’m here in Japan or I must apply to it personally. Hi Alex, sorry for the late reply, haven’t been checking my site lately. I think you can send an authorization letter together with your id and the authorized person’s id. Good day!may expiration po ba ang authenticated driver’s license?..last december 2015 ko po kinuha..gamitin ko po pa macau..thanks..